One way that Andrew and I organize all the happenings in our household is through our "Home Binder." I realize that there are only two of us, and we live in a tiny 500 square foot apartment... but I figure it is never too soon to be organized. Here is how it is organized. For us we have a weekly to-do with three sections, one for Andrew, one for me, and one for notes. We sit down Sunday night, think about what our week looks like, make our list, and refer back to it during the week. We have come up with yearly goals here, that we also refer to on Sundays to keep each other accountable for how we are doing. We also put our monthly schedule and Andrew's class schedule here. Here we are pretty lucky because like I said we only keep up with a 500 square foot apartment... yet sometimes it is still hard! We have a weekly cleaning schedule, a monthly cleaning schedule and a bi-yearly cleaning schedule. Here we print out our monthly budget and put it in a page protector to refer back to, and when the month is over we print a completed budget and stick it in the other side oft he page protector. 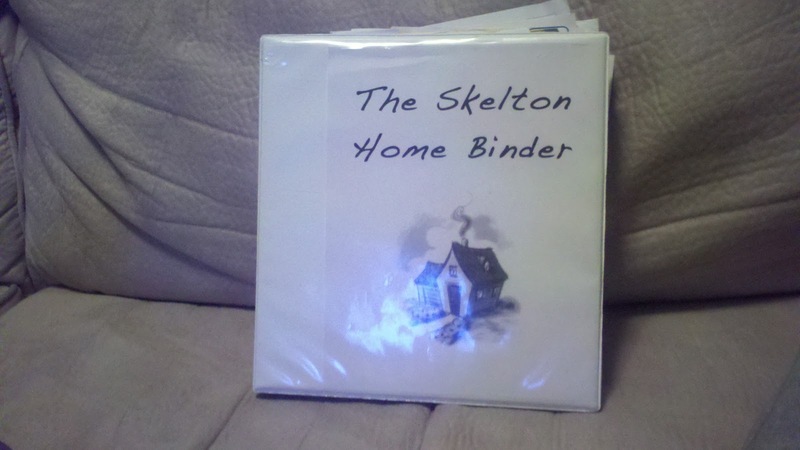 Our home binder, is something that can just keep us organized, and keep us focused. We know what our goals are, and we can always go back and use this a s a tool to reach them. i love it! if only your high school self could see you now! she would be so impressed!